Tilly and the Buttons: We need your help! We're over the moon to have been nominated in three categories in the British Sewing Awards 2016 - 'Best Pattern House', 'Best Sewing Blog' and 'Favourite Sewing Personality'! We'd be soooo grateful if you'd take 2 minutes to vote for Tilly and the Buttons. 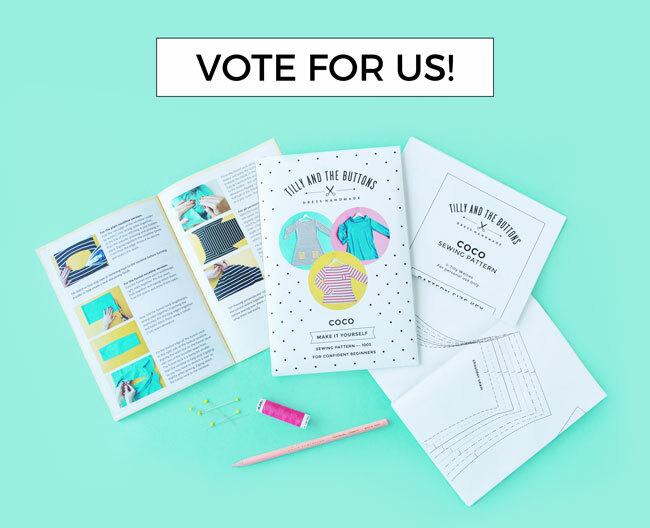 In the 'Best Pattern House' category we're the only independent label up against the big, long-established brands, so we really need your help to win. Our mission is to spread the love of sewing, so our patterns are welcoming to newbies as well as experienced stitchers. We don't assume everyone understands sewing jargon and diagrams - our customers tell us our instructions are refreshingly clear to use. 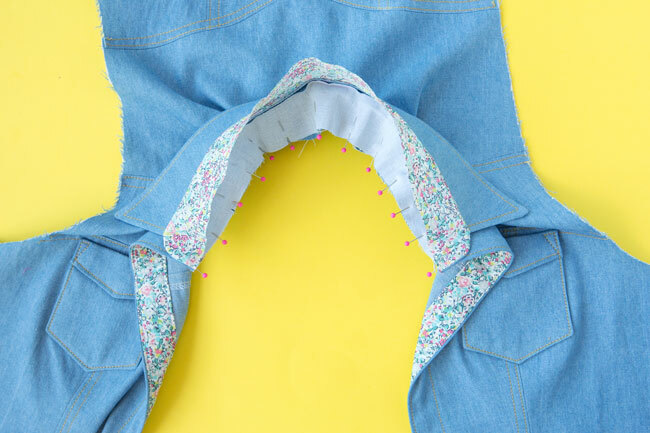 We put many months of love and attention into developing and testing each and every sewing pattern to ensure they come together nicely and the steps are well explained. Our patterns include thoughtful touches to help you have a joyful sewing experience - from full colour photos of the steps to clearly labelled seams and quality paper that doesn't scrunch up! We support home-grown business by designing and printing our patterns in the UK, on FSC certified paper using vegetable-based ink. We provide a wealth of extra support - from workshops and sewalongs to showcasing our customers' inspirational creations. Thank you thank you thank you for your support. PS. 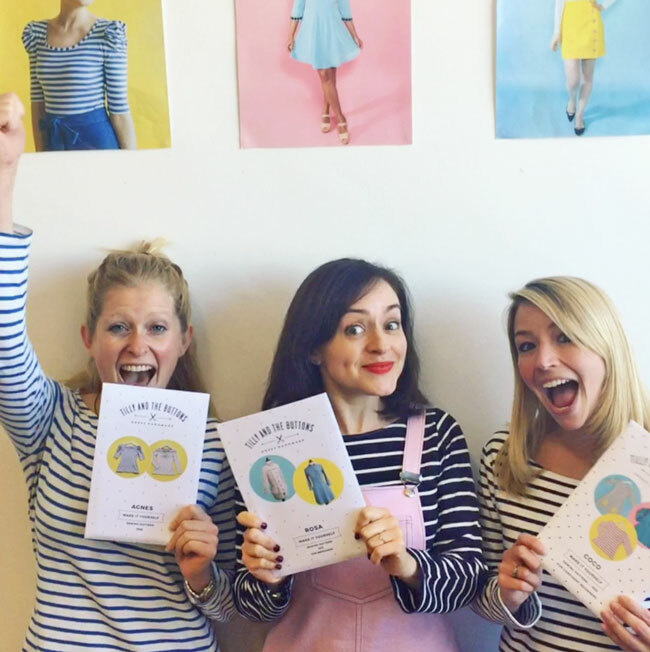 In other exciting news, you can now buy our sewing patterns from Modcloth! It's been a dream of mine to have Modcloth as a stockist from day one :) They currently stock Coco, Arielle and Francoise. PPS. In or near London? We'll be exhibiting at the Renegade Craft Fair on 5-6 November. Come say hi!